A celebration of diversity, equity, and inclusivity is scheduled for Thursday, Oct. 11, in the UH West Oʻahu courtyard. 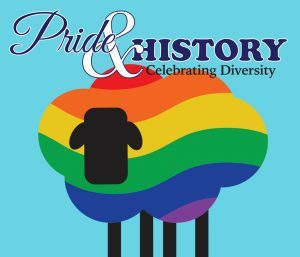 “Pride & History: Celebrating Diversity,” is scheduled from 10 a.m. to 1 p.m. and is open to students, faculty, staff. The celebration will feature vendor tables with information about LGBTQ+ issues, rainbow cupcakes, temporary tattoos, and collectable buttons. Additionally, the James & Abigail Campbell Library will display LGBTQ+ (Lesbian, Gay, Bisexual, Transsexual, Queer or Questioning) books and handouts about library resources. The event coincides with Honolulu Pride Month and National Coming Out Day. 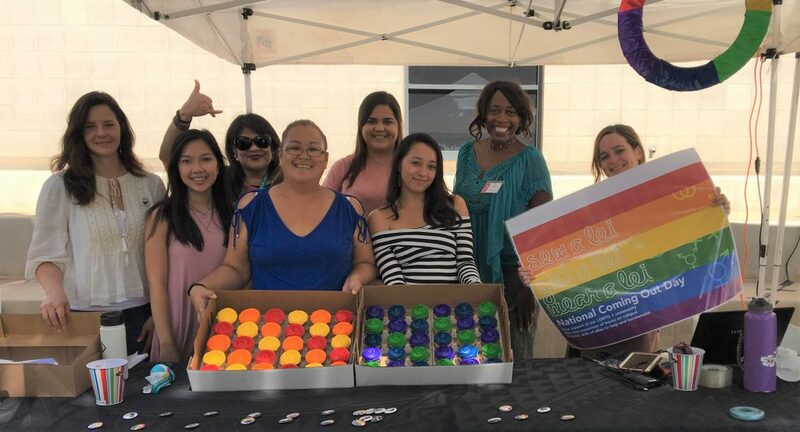 Honolulu Pride Month features a number of events during October by Hawaiʻi LGBT Legacy Foundation, including the installation of rainbow banners along Kalakaua Avenue in Waikiki and the Honolulu Pride parade and festival. National Coming Out Day is Oct. 11 and celebrates people coming out as lesbian, gay, bisexual, transgender, queer or as an ally. Also scheduled for Oct. 11 is Safe Zone Training, during which students, faculty and staff can learn about LGBTQ+ issues while sharpening their skills to help end any harassment. It is set for 2 to 3:15 p.m. in E243. Sign up for the training via this link. Participants in Safe Zone Program training learn about skills to foster a safe and inclusive community for LGBTQ+ students, faculty, and staff, so as to promote social justice in the University of Hawaiʻi system. Participants also gain knowledge about the LGBTQ+ community, and further familiarizes participants with available LGBTQ+ campus and community resources as well as strategies to support and advocate for LGBTQ+ students, faculty, and staff in the UH system. Upon completion of a Safe Zone Training, participants will receive a Certificate of Attendance as well as an invitation to become advocates in the University of Hawaiʻi system Safe Zone Program by completing a brief online post-training test. Advocates will receive an LGBTQ+ Safe Zone sign to display at their workspace. The UH West Oʻahu Compliance Hui is an initiative to ensure the campus engages in necessary and appropriate awareness and programming as required by with state and federal laws. On Oct. 18, from 6 to 9 p.m., the Student Activity Fee Board will host an LGBTQ movie night. Tagged Compliance Hui, diversity, National Coming Out Day, Safe Zone training, The University of Hawaiʻi-West Oʻahu, www. Bookmark the permalink.